"Crisis in Time, Part One"
Zero Hour: A Crisis in Time was one of the first DC Comics I read when I made my big leap into the DCU. Gotta say, that was probably a bad idea. 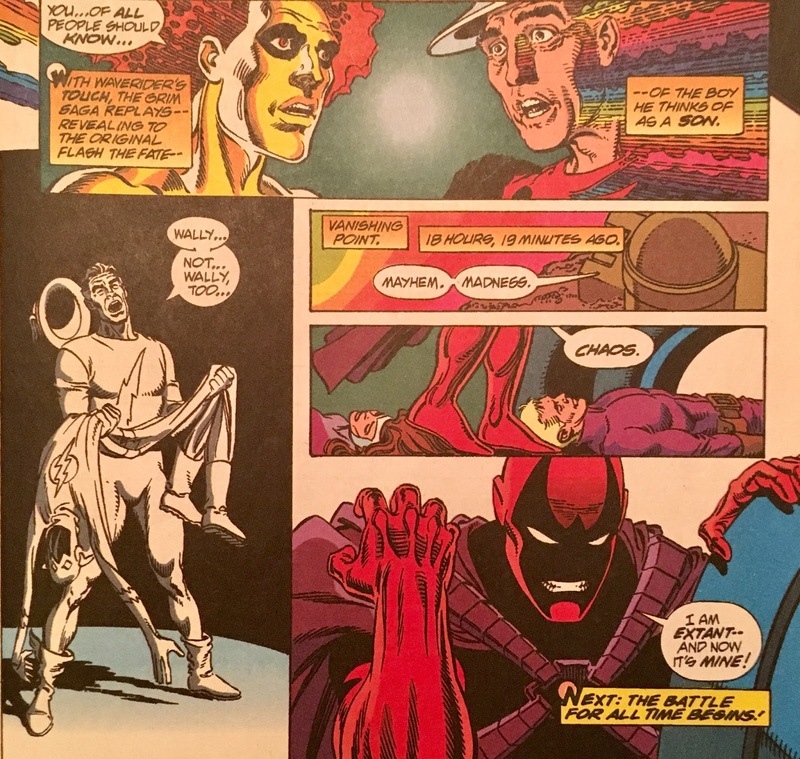 Between that and another "one of the first things I read" Crisis on Infinite Earths, I think a sane person would have been scared back to the safety of the Marvel Universe. It's been awhile since I've revisited either... just haven't felt the need. Having said that, for the next couple of weeks, Reggie and I will be uncovering time anomalies and attempting to set things straight on (potentially both) podcasts... and thus, I'm going to attempt to untangle more of the muddy bits here, so that I might be able to discuss them with, ahem, authority. ... I hope we survive the experience. And, ya know... enjoy! It is the end of time, and somehow still 32 hours ago. Okay, okay... I know what they're going for here. Anyhoo, here we see the Time Trapper being riddled full of multicolored holes. The camera pans back to find a figure who kind of digs the entropic nature of the end of time... he sees limitless opportunity... things can be revisited, changed, and made right! Welcome to the countdown... welcome to Zero Hour. 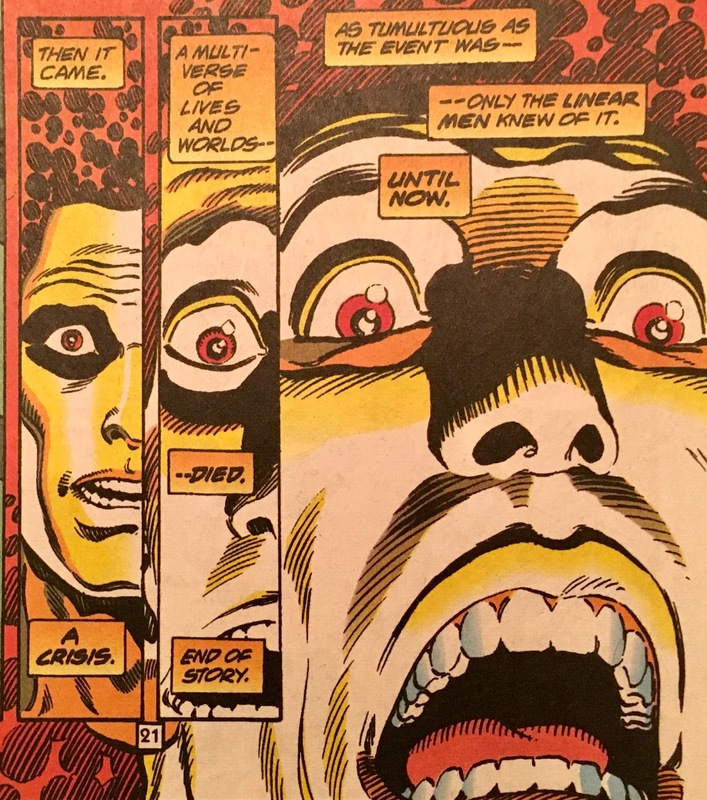 We move ahead a couple of hours, and check in on Apokolips. 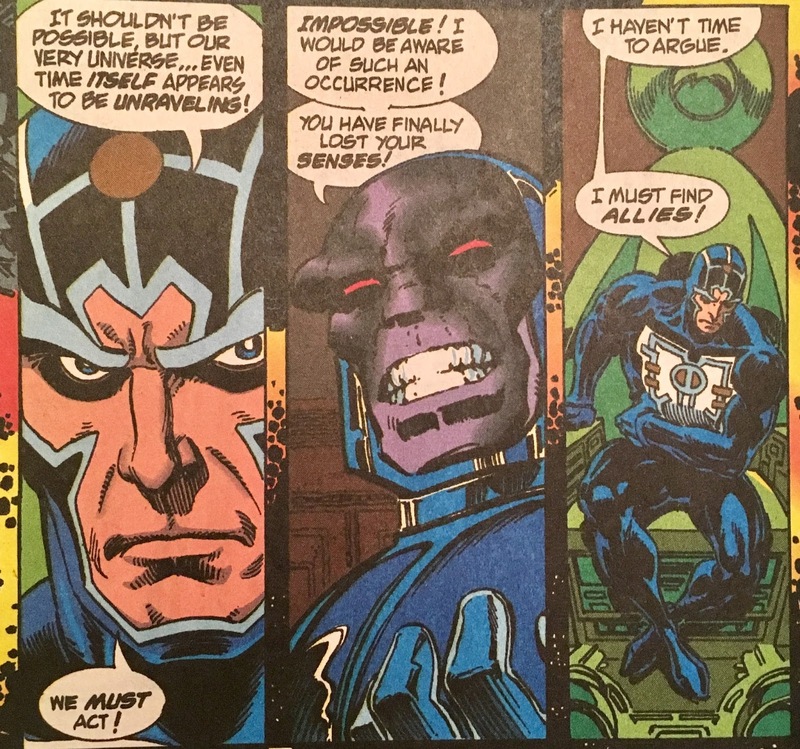 There Darkseid is receiving a warning from Metron... time appears to be unraveling. Darkseid thinks this preposterous, after all, if there is a Crisis on the horizon, he'd surely know about it... or be the cause of it. 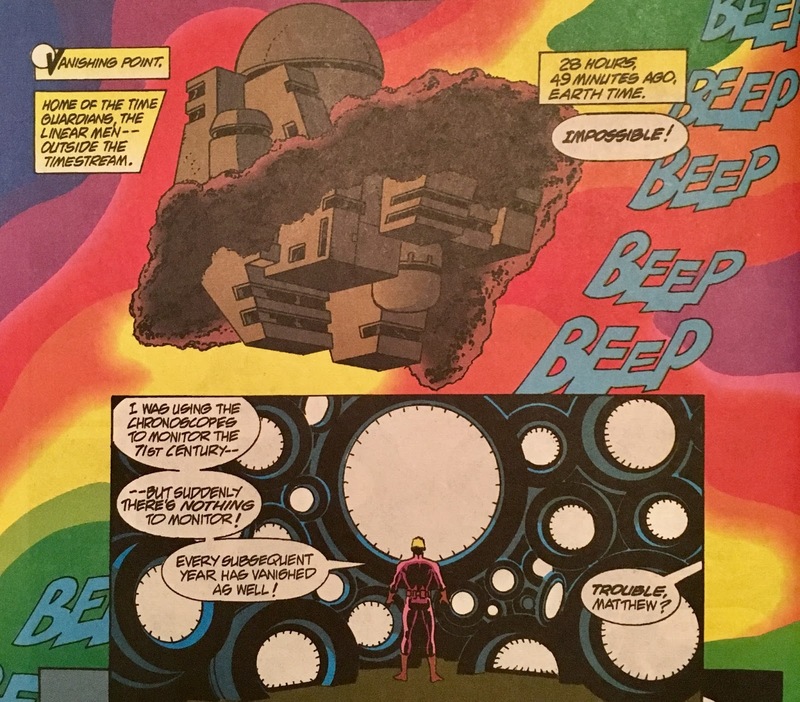 Metron has no time to dilly dally, and so heads off in search of allies. One hour later... Gotham City. The Joker has just pulled off a job, and is fleet-footing away. He sees a familiar shadow on the building... ya know the one, long cape... pointy ears. 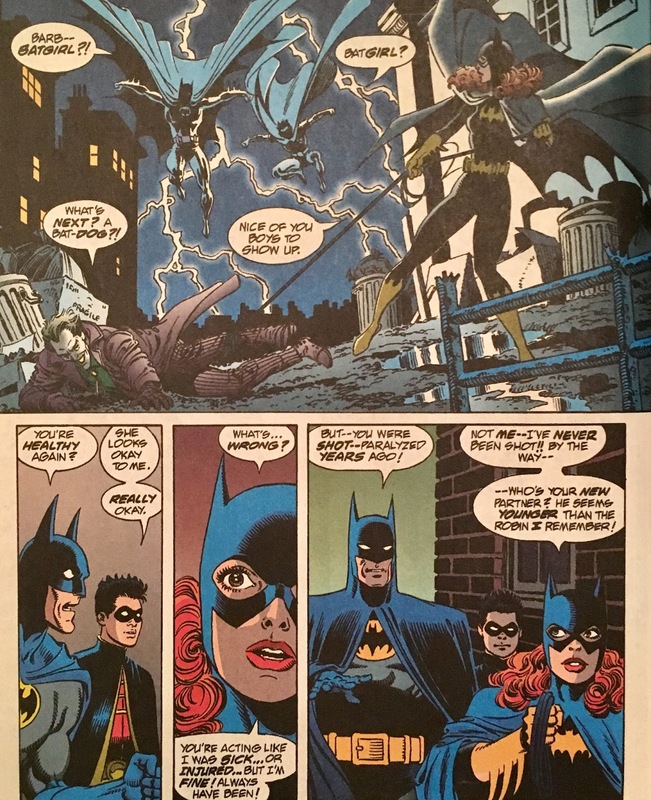 Boy is he surprised to find out that it belongs to Batgirl... Barbara Gordon! Batman and Robin show up, and they're just as... if not more so, surprised. This Batgirl claims to have never been shot, which is to say, she has also never been paralyzed by the Joker. She's also a bit confused seeing this new unfamiliar Boy Wonder. The Joker takes this opportunity to drop a flash grenade and flee to a conveniently hovering helicopter. 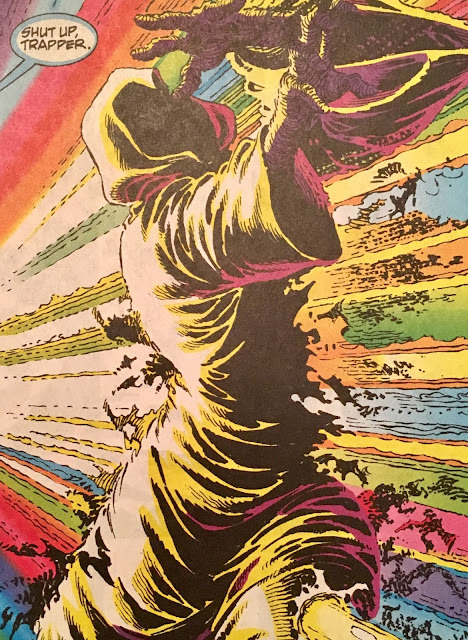 Another hour (and eleven minutes) passes, and we are now at Vanishing Point where we check in with Matthew Ryder, Rip Hunter, and Waverider. Matthew is watching the chronoscopes, and is shocked to see what has become of time. I'm a bit confused as Ryder and Waverider are kind of the same guy, right? It's been awhile, hopefully that wrinkle will work itself out in my head. Rip Hunter doesn't quite believe it... and feels that the equipment must be on the fritz. Next stop, the 64th Century, one hour and seven minutes later. Flash is beating on Abra Kadabra, fearing that he is responsible for the "weird effect in the sky". Abra's all "not me, pal", but Flash grabs him by the collar anyway. Before he can do too much damage, they are interrupted by the arrival of Rip Hunter and Waverider. The foursome deduce that perhaps the only way to stop the entropy wave is for the Flash to run at ultimate speed, and double back to create something of a whiplash effect. Wally's worried, but up to the task. This doesn't go all that well... but what's a Crisis without a dead Flash, right? 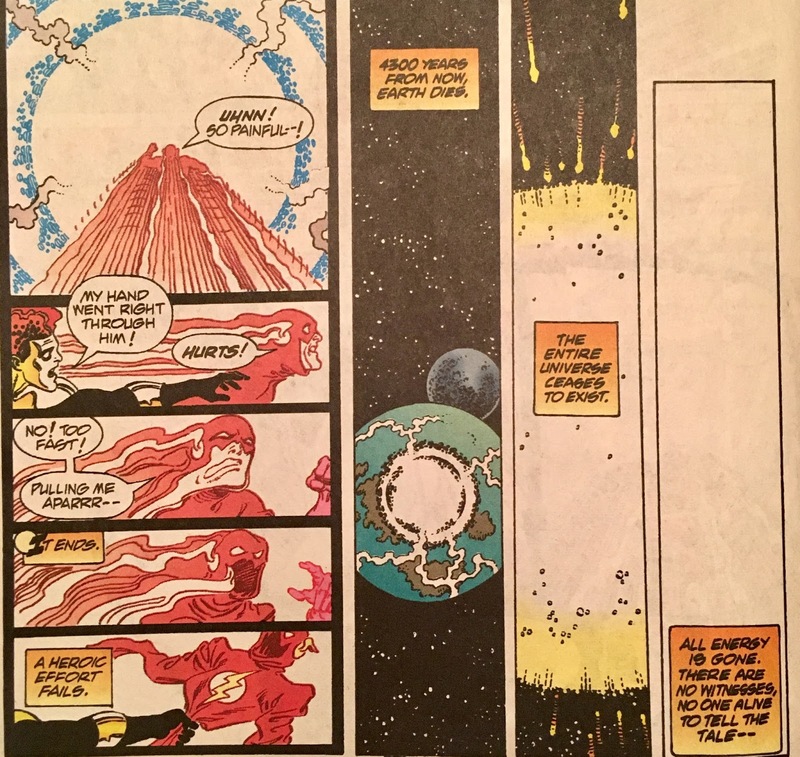 Worst of all, Wally's sacrifice is in vain... the rift is still there. We shift ahead another... er, four hours... where we see a scene that ought to be pretty familiar to readers of this humble blog. It is the end of Superman: The Man of Steel #37. Another hour and two minutes passes. Rip and Waverider (along with Wally's costume) have arrived in Star City circa 5700 AD... where they are surprised to see Hal Jordan fighting the entropy wave. A markedly younger Hal... ain't no white temples here. He is unsuccessful. 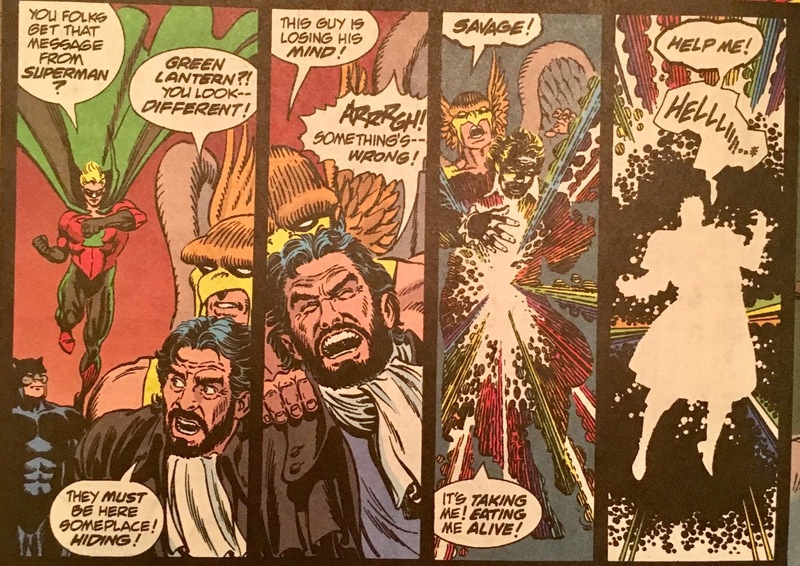 Two hours and two minutes later, Hawkman is socking Vandal Savage in an alley... and then... ho boy. 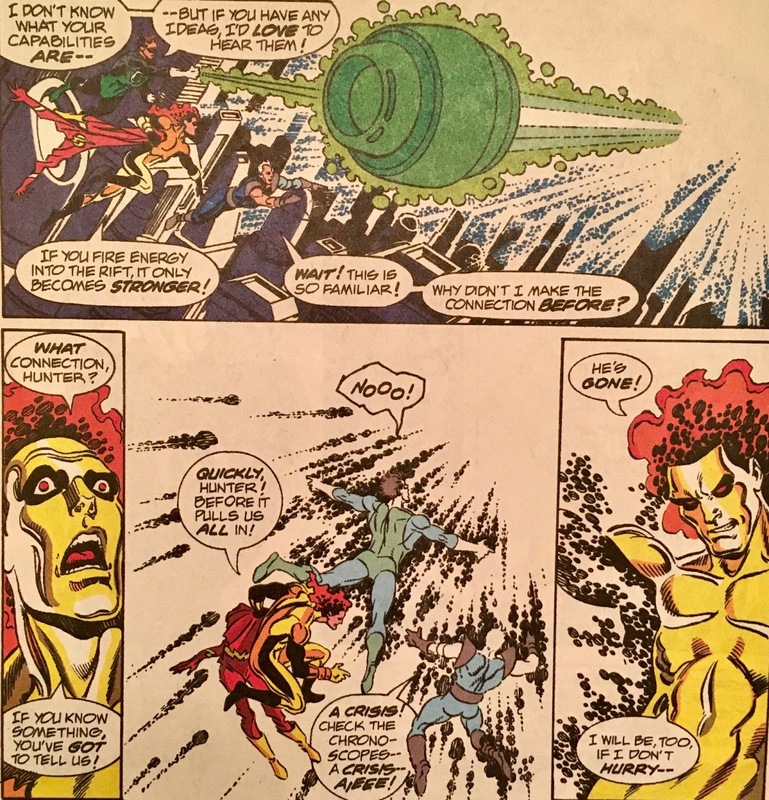 At the same time, Superman and Metron have approached Kyle Rayner. 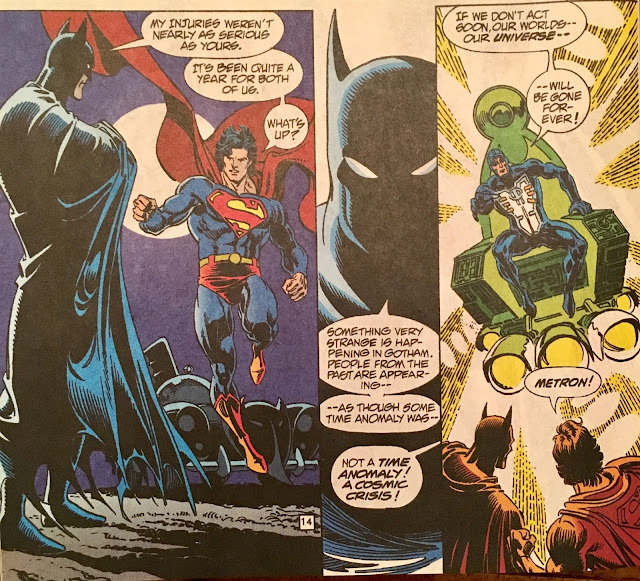 By combining the power of the Moebius Chair and Kyle's Lantern ring Superman is able to transmit a message of warning to all of the heavy-hitters of the DC Universe. A Crisis... is coming. Metron takes his leave and decides to solicit the aid of... the Spectre. His visit is not appreciated. 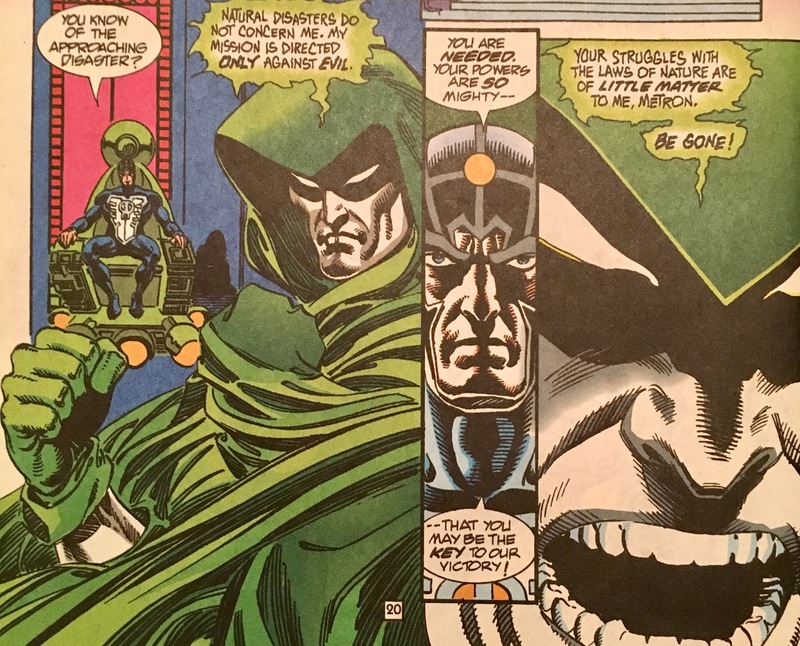 Spectre pretty much tells him to beat it. Whatta jerk. Three hours and three minutes later, Waverider returns to Vanishing Point. 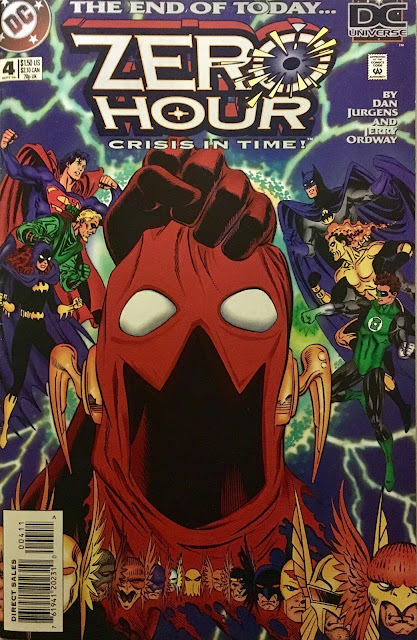 He accesses the chronoscope and request it pull up all information on the "Crisis Event"... and ooh boy does it ever. Waverider becomes one of the few folks in the universe to truly behold the events of Crisis on Infinite Earths! 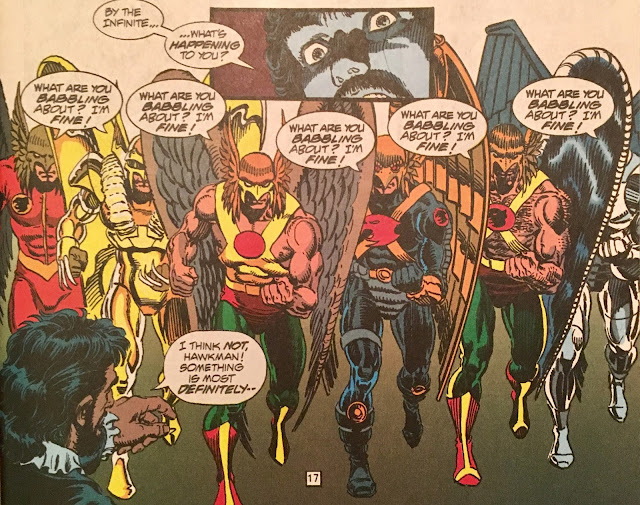 Ten minutes later the Justice Society catches up to Hawkman, who is still holding Vandal Savage... that is, until now. 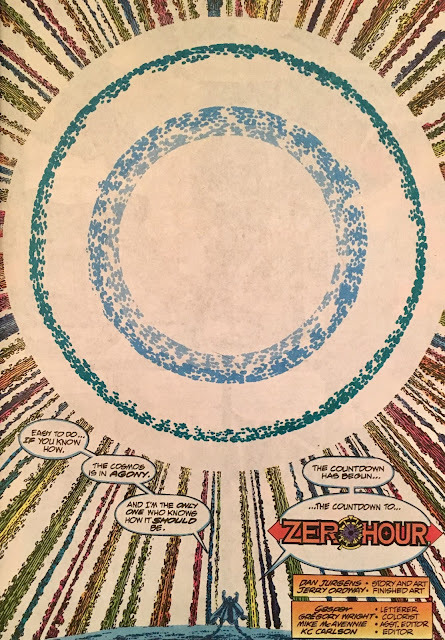 Turns out that time is dying at both ends of the timeline... Vandal Savage disappeared because the point in time in which Savage was born has been erased... it is as though he'd never existed at all! 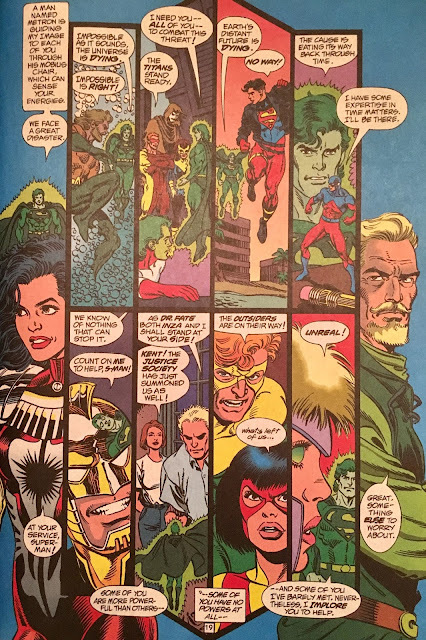 Comments are made about Green Lantern Alan Scott's youthful appearance, which I think ties in to Armageddon 2001... or one of the offshoot miniseries'. Waverider fills the Society in on what's going down, and Jay notices that he's carrying Wally's empty scarlet costume... he now knows the loss of two of his successors. Elsewhere, six minutes later... Vanishing Point and the Linear Men within are taken over by the former Monarch... Extant! Well, that wasn't nearly as confusing as I remember it being! Also, not sure if it's due to my being in the mood for a story like this, but I quite enjoyed this read. All I could remember was that there were a lot of rainbows and whiteness throughout this... and, well, there are... but there's much more than that. The story itself... for all its chronal-gymnastics, was rather straightforward. Very well told, and looked great. The weaving in and out of different eras and different times served this initial chapter well. The scope for this series is hyooge, and establishing that nobody and nothing (and no-when) is off-limits really lays the foundation for an epic event. It was here that so many fans had their concerns played with. 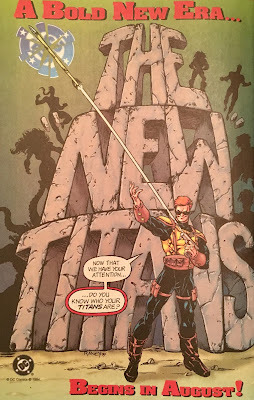 While I wasn't completely immersed in the DCU when this hit, I may not have had as strong an interest in who lived and who died, it was still a ton of fun to play along with the comic shop scuttlebutt. Here we see the return of a Barbara Gordon who had never been shot. 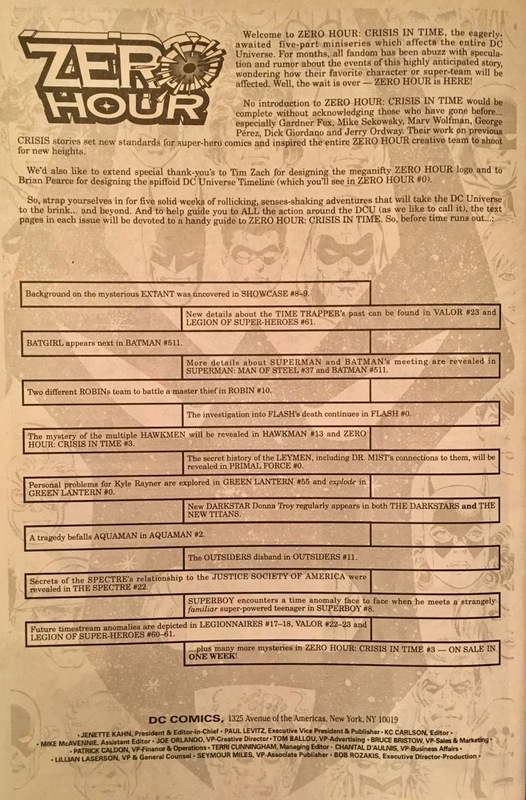 This was a biggie in the shop, as folks thought this was going to be DC's "out" for The Killing Joke... and hell, now that I think about it, we could've ended up having both a Babs Batgirl and a Babs Oracle in the same DCU. Continuing with the idea that it's possible to "pluck" heroes from different points in the timestream... here we meet a young Hal Jordan, one that hasn't eaten Oa, and downed the Corps. Could Zero Hour end with the return of Hal Jordan to his rightful heroic place? 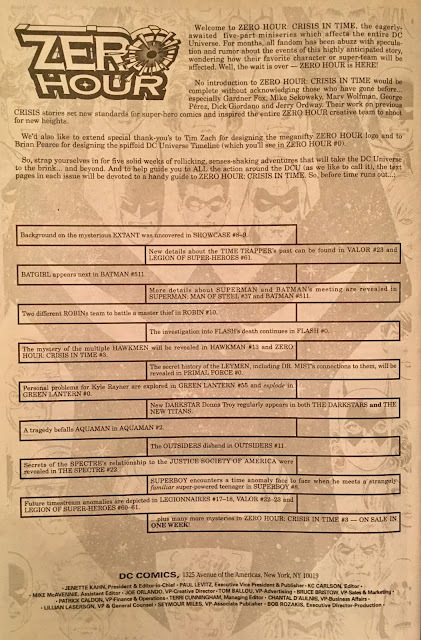 Well, we know the answer to that... however, when this book hit... especially with the included DC UNIVERSE news page in this very issue, it could be argued that there was a high likelihood that this was going to be the case. We've got the Hawkman medley... which, I will concede, may as well have been written in hieroglyph. I was fairly well-versed in Hawkman continuity during the Geoff Johns rehabilitation tour around the turn of the century... but it would seem spouting Hawk-lore is not like riding a bicycle... I've forgotten so much of it! Now, let's consider our casualties. 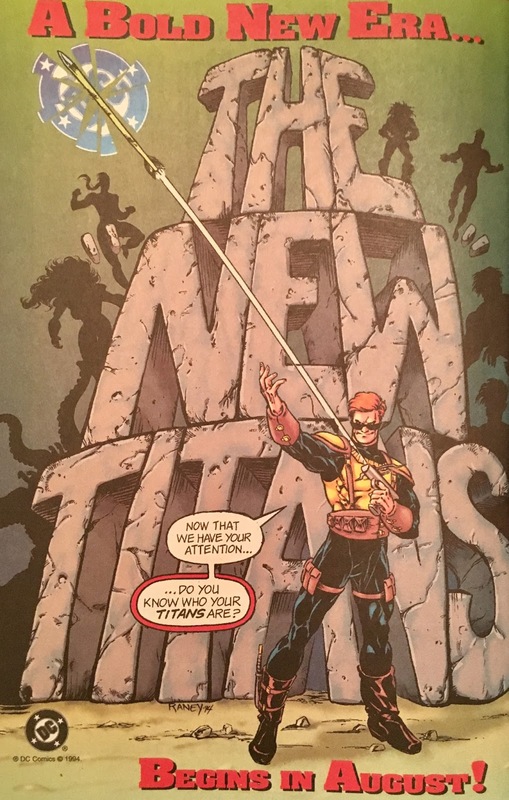 Wally West and Vandal Savage bite the big one here. 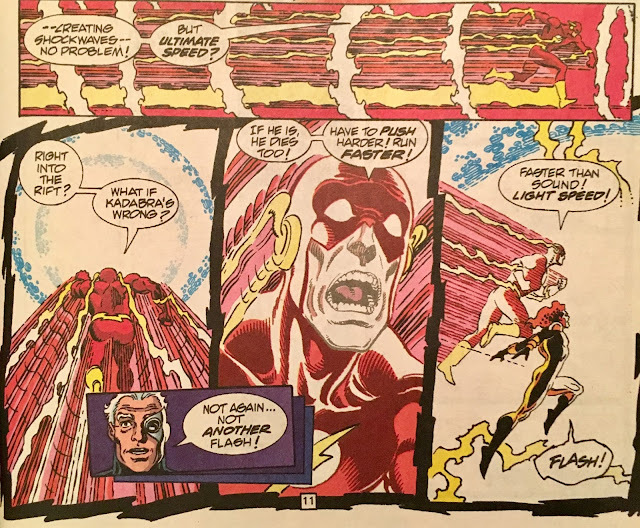 Wally dies like a Flash in a Crisis... with a noble sacrifice. Fair enough. Savage's passing is less noble, but more interesting. He was basically erased from the timestream... that is to say, he was never born and never existed. However, the JSAers all remember him having been there. That's a pretty intriguing bit... ya gotta wonder how many people can remember a person who never existed. Overall... this is a lotta fun, and it's definitely worth your... heh... time. Not surprisingly, it is available digitally, in collected edition, and very likely in your local quarter-bin. Going to keep on truckin' down to zero over the next few days. May skip a day here or there... we'll just blame it on time anomalies.